If you own to rent, know why renters move and what amenities they choose in their new digs. 1. Search Craigslist for units in your area with the same size and amenities. We like to use Craigslist as a MLS for rentals. Its been very effective for establishing a ball park number. 2. Drive your neighborhood and notice for rent signs. Call them and get a sense of your local market before you price your home or unit. 3. Notice the curb appeal of units in your area. There are many cosmetic upgrades that are inexpensive yet create interest. a. Try some flowers or landscaping to make the front more attractive at little cost to you. b. Try offering some high tech amenities such as DSL or wireless in the building. c. Offer storage if you have under utilized space such as a basement area. d. Consider installing a revenue sharing plan for either storage units or laundry room. There are companies that will provide the equipment on shared revenue basis. Be sure you are aware of fair housing laws as they relate to what and how you can describe a property or you can face a discrimination lawsuit. Fair housing laws prohibit making, printing or publishing a notice, statement, or advertisement that indicates any preference, limitation, or discrimination based on a protected class. Advertising must show that all people and classes are being equally considered. Fair housing laws address all types of statements – newspaper, radio, magazines, and television. All of the above including vacancy signs are advertising and must prohibit making any statement indicating a preference or put limits on housing. There are some exemptions but it is advisable to be sure that you are among those exceptions before you advertise. Images in Advertising: If you customarily use advertising with photographs or drawings of people, try to use men, women, children, people with disabilities, and people of all races, nationalities and ages in a way that reflects the population as a whole. A key is to be sure to use images that are representative of society in general. Language: Avoid using words or phrases that show a preference or discourage anyone because of his or her protected class. If you describe the property itself and not the targeted audience, you are safer under fair housing laws. Make no assumptions about the needs or desire of a protected class that may seem to categorize them. Marketing to a protected class: Be careful with your language. Do not make assumptions about the need of a group of people. It is best to objectively describe the property and allow the prospective applicant to determine their needs, but it can be mentioned that your unit has access for the disabled or that you are near schools and playgrounds and that families are welcome. There are other exceptions. It is advisable to always be careful and consult with your attorney or apartment association. Howard Bell PFP CCRM is the founder/editor of Your Property Path.com, featuring over 450 articles on property management, Your Property Path SF, trade talk for the San Francisco real estate industry, Your Property Path News Brief, snap news updates and real estate market info, and Your Property Path Amazon Store. Howard is a property manager in San Francisco and holds a certification in financial planning. See Howard Bell’s feature, Are the Stock Markets Telling Us Something? HUD produces a study every two years or so and polls tenants that have moved. Paying attention to our tenants is the best way to create strong interest in our available rentals and to assure good tenant retention. Keeping good tenants assures a stable cash flow. This allows us to plan with some assurance new business activities and helps us stay on a stable maintenance program. According to the US Census Bureau about 1 in 3 move every year. With home sales slowing we see rentals gaining strength and in my market, San Francisco, we see apartment sales which are based on cash flow and bought for investment increasing in price. The first reason given in the HUD study was to begin a family. This means to us that if your tenant has given you a thirty day notice to terminate and you have a larger unit coming up, you should consider an offer to move them to the larger unit. Target Market: New families. If you have a large unit vacancy then you might consider new families as a target market. Please be careful of Federal fair housing laws, you can’t discriminate for or against children. Post flyers in laundromats, near family clinics, family birthing classes. The second reason given for a move was job location. Target Market: We think it would be good for an owner to be aware of transportation, location to highways and emphasize being close to any large companies or industrial parks in your area. The target market should certainly include employees in these locations and your listings should mention ease of travel or even travel time to large employees. Place flyers near work places with good access to your area, local community papers and internal company newspaper. Another big reason when choosing units is price. The key take away here is know you market. Price you unit or home according to the area and your amenities. If you price too low you may wait years to get to market value for that unit, especially if its rent controlled. 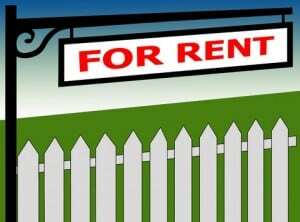 If you price too high, you may wait months for a rental causing a loss in the unit.